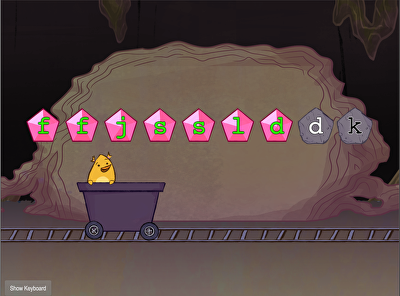 Time to practise seven home row keys at once: F, J, D, K, S, L, and A.
Practise some radical sentence-typing moves as you get to know a few epic inventors. 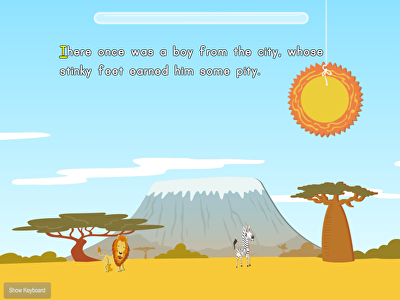 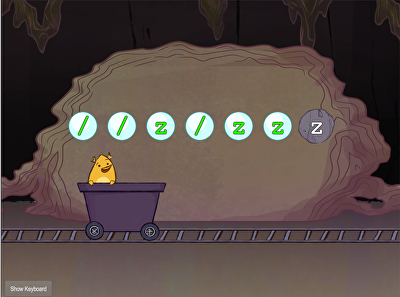 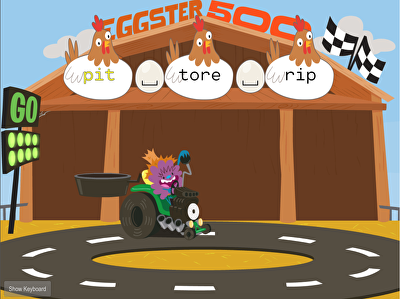 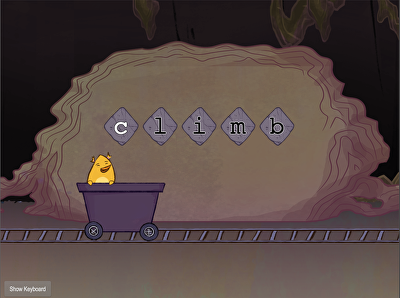 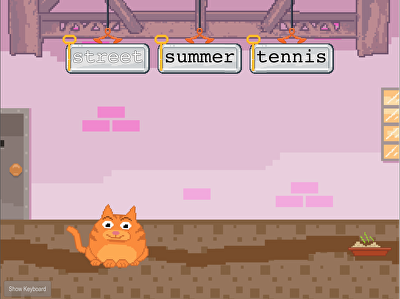 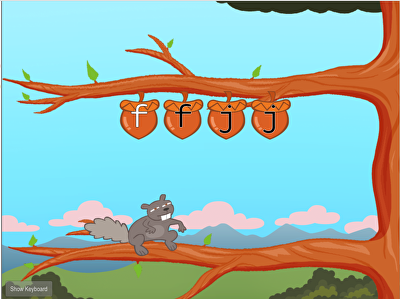 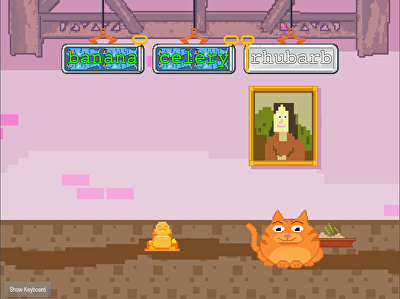 In this game, kids practise their touch typing accuracy skills with the F and J home row keys. In the Weather Words typing game, CuzCuz collects eggs for a rainy day with your assistance. 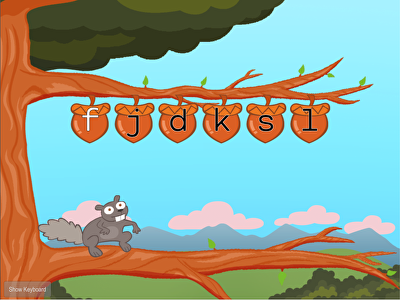 Squirrel wants to eat as many nuts as he can — but he needs you to focus on keys 1, 2, 9, and 0 to fill his belly! 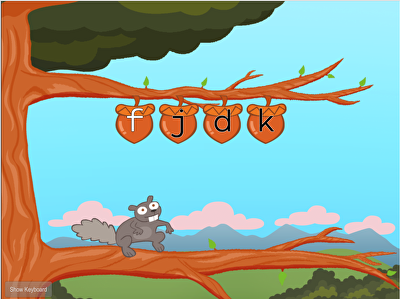 Cats may have nine lives, but here the focus is on five – five-letter words that is! You've mastered the F and J keys and the D and K keys — now it's time to practise them all together! This installment of our Typing Numbers Series offers practise in typing the numbers 5 and 6. 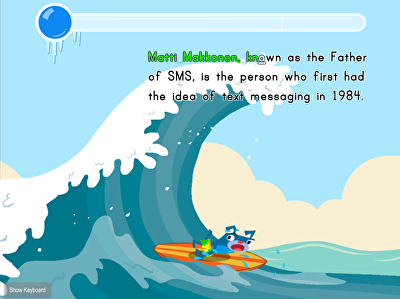 Practise typing speed and accuracy in this epic installment of our Typing for Sentences for Speed Series. Practise what you have learned by typing words formed by the home row keys. 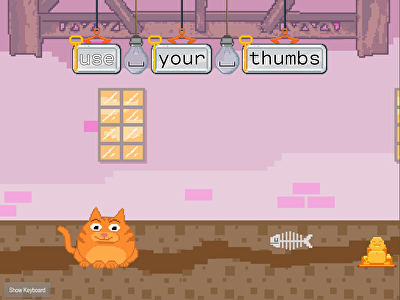 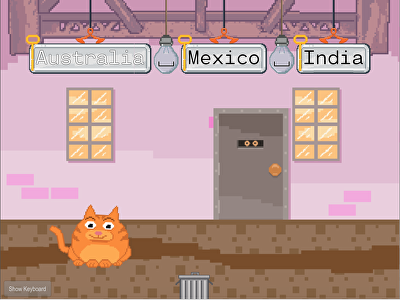 Help this international cat of "fish-story" to a seafood buffet while practising typing capital letters.